Unfold More Details About Mata Vaishno Devi.. The name� �Vaisnavi� is related to lord �Vishnu�. Goddess Vashnavi holds spiritual strengths of three powerful goddesses, namely, Mata Maha Kali, Mata Maha Lakshi and Mata Maha Saraswati. According to Durga Sapatshati, the goddess VAhnavi was born as a young girl with extraordinary strength and beauty out of the �Tejas� �the holy aura of three lords Brahma, Vishnu and Mahesh (lord shiva). Goddess was born to annihilate asura Mahishasura. Another purpose was to bring on an era of pious and ascetic life on the earth so that the peace could prevail over the world. Shri Mata Vaishno Devi shrine is one of the oldest and sacred shrines of India, located at a height of 5300 feet on the holy Trikuta hills of the shivalik hill range. The sacred cave is about 13 kms far from the base camp katra. The town katra is about 50 kms away from Jammu and 35 kms far from district HQ Udhampur. Both cities are linked by road. 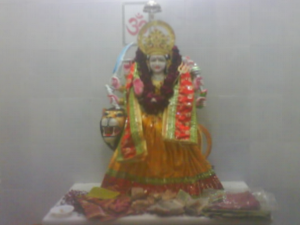 The Image of goddess Mata Vasihno Devi is placed in a 100 feet long cave with narrow opening. There are three natural pindies present in the cave nearby goddess image that represents Maha Saraswati, Maha Lakshami and Maha Kali. 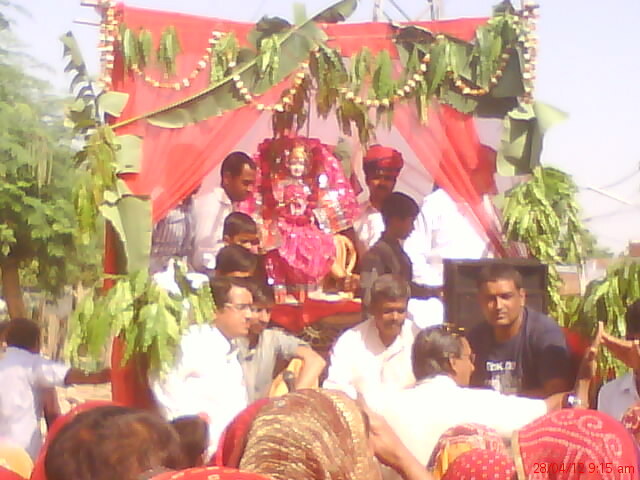 You can reach Vaishanv devi by road, rail and air route. Jammu is the nearest airport as well as the nearest railway station. There is a road that links Jammu to Katra where the trekking starts. After an one-hour walk from katra, you will reach Dakshini darwaza where the tample of Bhumika is located. It is believed that the Goddess disappeared from here and reached the Ban Ganga temple. The holy river Ban Ganga sprung from a stone when the Goddess shot an arrow on it. You ought to take a holy bath here to purify yourself. The vaishnodevi shrine is about 1.5 km from Ban Ganaga, and it is called Charanpaduka. Ardh Kuwari is the half-way point between Katra and the shrine. The Goddess had hid herself for about nine months in the cave called garbha joon. Garbha joon is 15m long cave and you have to crawl inside to cross it. It is 4.5 km far from charanpaduka. After Ardh kuwari, you have to cross a very steep path for about 2.5 km called as the Hathi Mata assent. It takes around 15,00ft climb to reach the Sanjhi chatt from where the cave is just 4km far. Sri Ram temple is situated very close to the Vaishno devi caves where the pilgrim climb 125 steps downstairs to pay their homage to a Shiva lingam situated here. Even though the yatra is very difficult, but every year thousands of people visit Vaishno Devi to take her blessings. 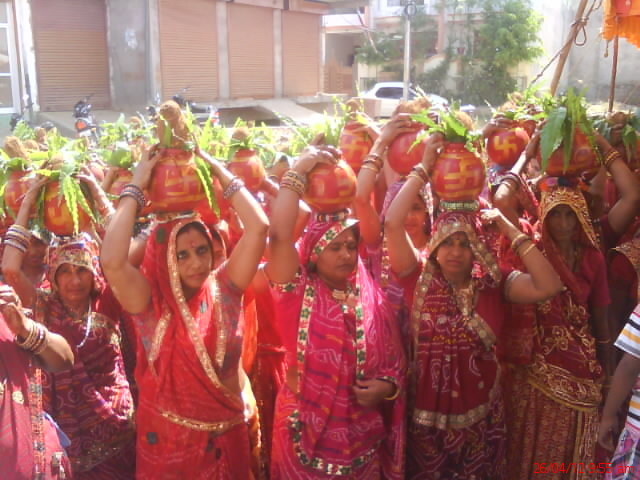 The sacred ceremony of installing the image of Devi Vaishno devi was performed on 28 April 2012 in the newly constructed temple located in (Kala Nagar, Ajmer Road, Jaipur) with all the traditional rituals. 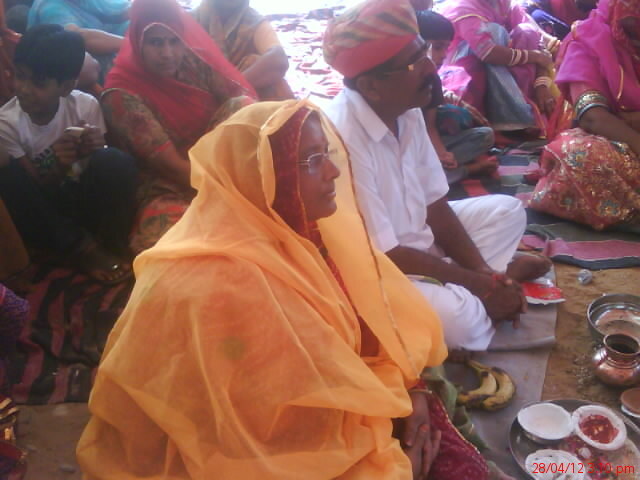 It was a joyous celebration under the guidance of priest, Acharya Awadhesh.